So many women who do everything right to stay healthy still wind up with breast cancer, heart disease, or osteoporosis. 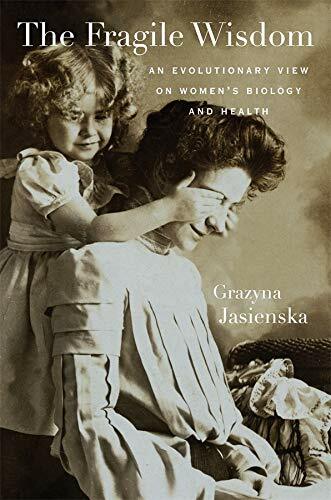 In The Fragile Wisdom, Grazyna Jasienska provides an evolutionary perspective on the puzzle of why disease prevention among women is so frustratingly difficult. Modern women, she shows, are the unlucky victims of their own bodies’ conflict of interest between reproductive fitness and life-long health. The crux of the problem is that women’s physiology has evolved to facilitate reproduction, not to reduce disease risk. Any trait―no matter how detrimental to health in the post-reproductive period―is more likely to be preserved in the next generation if it increases the chance of giving birth to offspring who will themselves survive to reproductive age. To take just one example, genes that produce high levels of estrogen are a boon to fertility, even as they raise the risk of breast cancer in mothers and their daughters. Jasienska argues that a mismatch between modern lifestyles and the Stone Age physiology that evolution has bequeathed to every woman exacerbates health problems. She looks at women’s mechanisms for coping with genetic inheritance and at the impact of environment on health. Warning against the false hope gene therapy inspires, Jasienska makes a compelling case that our only avenue to a healthy life is prevention programs informed by evolutionary understanding and custom-fitted to each woman’s developmental and reproductive history. Grazyna Jasienska is Professor at the Institute of Public Health, Jagiellonian University, Krakow, Poland. In The Fragile Wisdom, Jasienska offers new insights into evolutionary trade-offs between reproductive viability and other aspects of a woman's health. The book includes well-researched (48 pages of references) analyses of Paleolithic dietary patterns as well as hormonal fluctuations that support fertility of younger women and place these same women at risk for postmenopausal cancers of their reproductive organs. One of many strengths of the book is the author's refusal to settle for easy answers or to offer advice. Rather, she raises questions and argues persuasively that human evolutionary heritage is far more complex, more interesting, and more challenging than most readers may have imagined. Although the emphasis is on women's health, this thought-provoking, well-reasoned work is relevant for anyone seeking a better understanding of humanity's collective history and its implications for today.